To date, Nashville’s B-cycle bicycle sharing initiative offers 310 bicycles through 36 stations around the city, available for public rental. 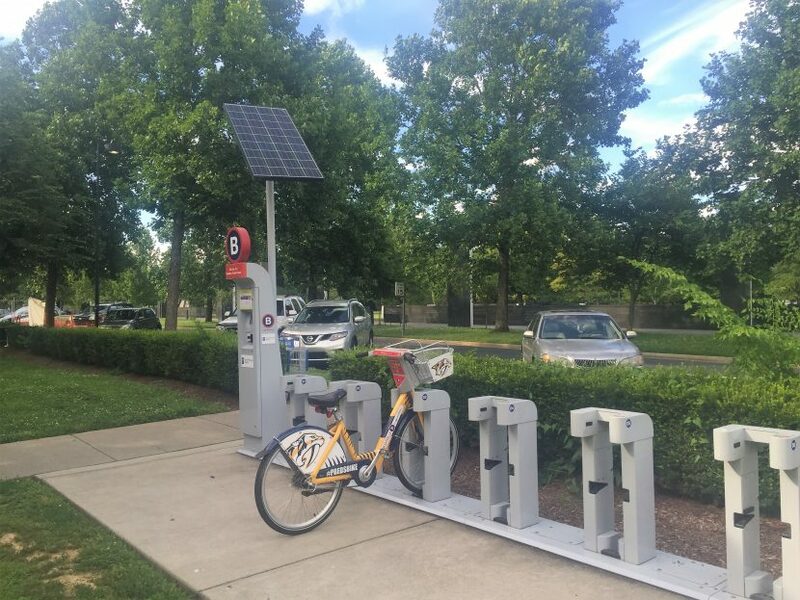 The initiative provides for an efficient and low-impact mode of transportation, a more personal and interactive opportunity to explore Nashville’s sites, and a positive option for health and exercise to the public. The other included images display some of the public art created to station personal bicycles. These are named ‘Corn and Tomato’, as a project of the Metropolitan Nashville Arts Commission.